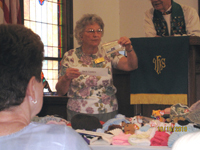 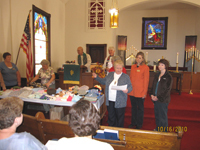 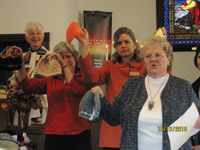 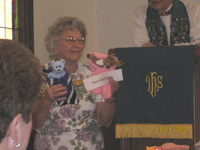 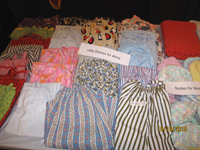 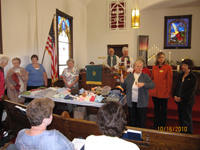 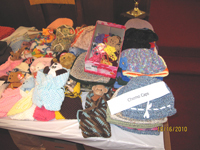 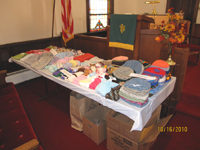 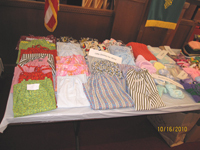 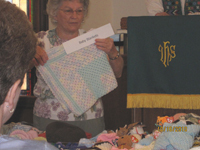 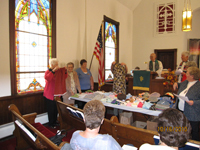 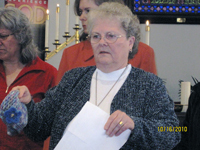 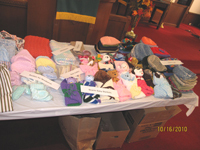 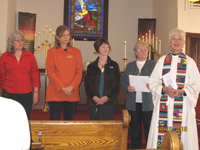 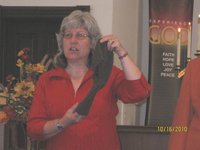 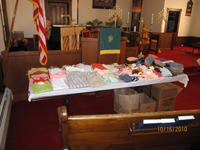 The Prayer Shawl and Chemo Cap ministry, affectionately known as the “Knit-Wits,” has become a very active and vibrant ministry. 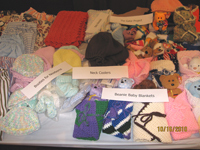 As such, they have many projects in the works and several more waiting in the wings, including more items for hospital patients and our service men and women in Afghanistan. 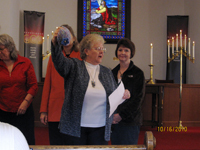 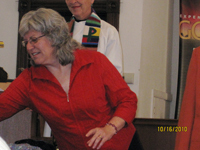 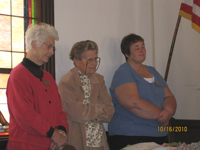 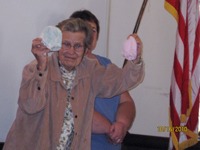 These are pictures of the dedication of the first fruits of their labors on October 10.